What made Austin the city we know today? Eddie Wilson saw the Texas capital transform from a sleepy college town into a global purveyor of music culture, all while booking and housing seminal bands of the 1970s, serving Southern cuisine, and shilling a record-breaking amount of Lone Star beer. 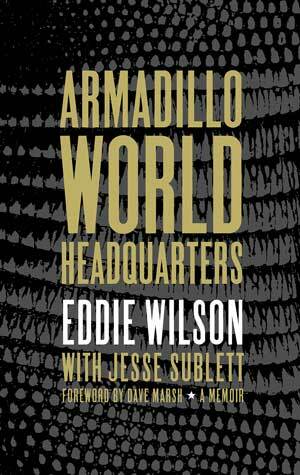 The story of the Armadillo World Headquarters includes rollicking tales of what Eddie calls, "a roller coaster of despair and wonder": trying to schedule anything with detail-averse Jerry Garcia, charming Frank Zappa after a 17-minute sound check, accommodating Van Morrison's cravings for the 'Dillo's famous shrimp quesadillas, and so many more 'Keep Austin Weird' moments that helped define Austin's lifestyle, culture, and identity. We are joined in this conversation by Jason Mellard, the Assistant Director of the Center for Texas Music History at Texas State University–San Marcos and author of Progressive Country: How the 1970s Transformed the Texan in Popular Culture.